Obit: Tom Clancy Tom Clancy built his fascination with military hardware and history into a best-selling career writing thrillers — beginning in 1984 with The Hunt for Red October. His books were turned into Hollywood blockbusters and popular video games. NPR's Lynn Neary has a remembrance of Clancy, who died this week at 66. 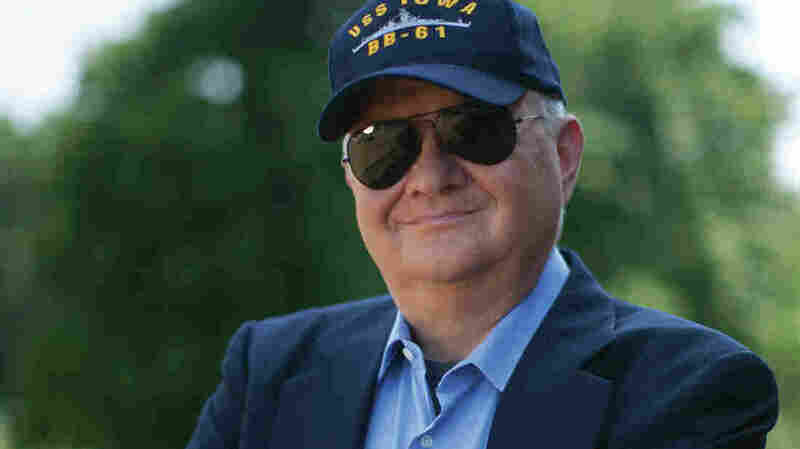 Tom Clancy, seen here in 2010, was an insurance agent before publishing The Hunt For Red October in 1984. Best-selling author Tom Clancy has died. He was 66 years old. 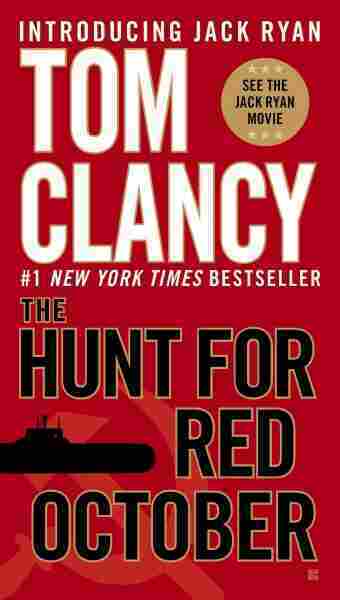 Beginning with the publication of his 1984 megahit The Hunt for Red October, Clancy wrote a string of blockbuster thrillers inspired by his fascination with military hardware and history. Clancy didn't mince words when he talked to would-be writers. "If your objective is to write a book, get a computer and write the damn book," he told members of the military at a 2004 writing workshop. "Yes, you can do this if you try hard enough. It's a lot easier than you realize it is." Clancy was speaking from experience. He wrote Red October in his spare time while he was still in the insurance business. After it was turned down by major publishing houses, he took the manuscript to the Naval Institute Press, which had never published fiction before. Fred Rainbow had worked with Clancy on a couple of pieces for the institute's magazine, Proceedings. "He went from [being] a person with very thick glasses and an insurance agent to a rock star," Rainbow says. Red October rose quickly to the top of the best-seller list and was Clancy's first book to be made into a film — it was a tense Cold War drama with the U.S. and the U.S.S.R. vying to gain control of a runaway Soviet submarine. After the book and film came out, Rainbow says, Clancy had a big fan in the White House. "He became what I would call a pet rock of President Reagan," Rainbow recalls. "[Reagan] loved to have him over for dinners, because it was the great American dream — an insurance agent, best-selling novelist ... this was Ronald Reagan's delight, so he opened a lot of doors to Tom Clancy from that point on." Clancy went on to build an empire. Among his best-selling books, Patriot Games, Clear and Present Danger and The Sum of all Fears were turned into movies featuring major stars. Jack Ryan, first introduced in Red October, became a recurring character in Clancy's stories of military maneuvers and clandestine operations. "I think what makes Tom Clancy is that people cared about Jack Ryan," says thriller writer Brad Meltzer. "He gave America a character that represented America right back at them. They saw this character that was like us; they saw someone who was terrified about the Cold War but wanted to do something about it." Meltzer adds that Clancy has left an indelible mark on the thriller genre. "I in my books write thrillers that are full of government secrets, that are researched with people at the highest levels of that government," he says. "I wish I invented that genre. I didn't. Tom Clancy did." And Clancy never stopped. His next book, Command Authority — starring Jack Ryan — is due out in December.